You betta work! Pocket RuPaul Wisdom contains only the fiercest advice from the supermodel of the world. 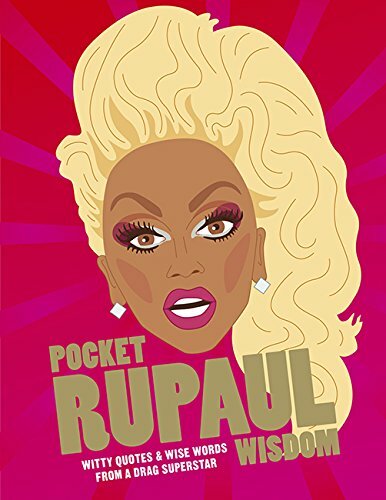 Learn how to sissy that walk, sashay, shante, and slay the runway.In Pocket RuPaul Wisdom, Ru shows off her charisma, uniqueness, nerve and talent. 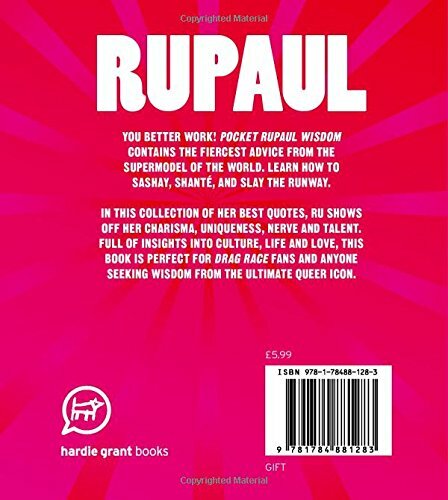 Full of insights into love, identity, glamour and performance, this collection of quotes is perfect for Drag Race fans and anyone seeking wisdom from the ultimate queer icon., `If you can't love yourself, how in the hell you gonna love somebody else?' `We all came into the world naked. The rest is all drag.' `I can barely speak English, but I'm fluent in throwing shade.' Sometimes we all need a little Ru in our lives.